Thank you for purchasing vCast Button Plugin for WordPress. If you have any questions that are beyond the scope of this help file, please sign up for the support forums here. Thanks so much! 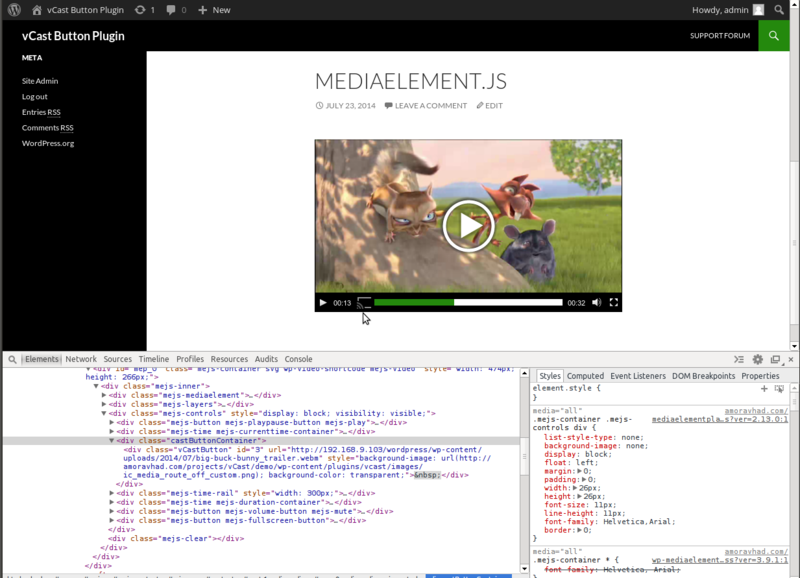 To start casting, first configure the HTML tags containing the video URL(s) you want to be sent to the Chromecast. Once set, you won't need to configure this again, since vCast will remember where to search for castable video URLs.